Every year we spend large sums of money on Christmas gifts. It seems the list gets longer and longer and the available cash gets shorter and shorter. 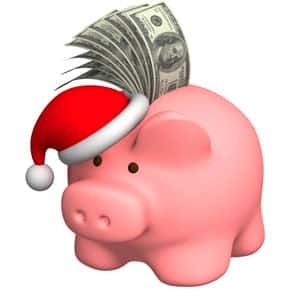 You may have heard of the Christmas savings account and thought, “That sounds like a good idea. I’ll do that next year.” If you’re like most people, you never get around to actually opening the account. This year, maybe you should give it a second thought. The basics of a Christmas club savings account are simple. You open an account on January 1st or as close to it as possible. Some banks will require a minimum opening deposit while others do not. Then you make recurring deposits of the same amount each week. So if $10 a week is what you can afford, then that is all you deposit. The amount is up to you. Most banks allow you to withdraw from the account beginning November 1st, just in time for holiday shopping. Using the $10 each week plan, you will have saved $420. If you can manage $20 each week, your total will be closer to $1000. If you are not sure how much to plan for, financial experts recommend keeping your Christmas gift expenditures to 1.5% of your income. The nice thing about the plan is once you begin, you become accustomed to the routine and soon don’t miss the money. You are establishing a habit of savings that may serve you well in other aspects of your financial planning. You also have the needed money on hand at the right time. This can help you avoid the credit card debt scenario so many people succumb to when money is tight. Check with your local bank to see if they offer this type of saving plans. Many credit unions also offer the plans. You can set it up to automatically deposit funds from another account. Some employers will facilitate direct deposits to Christmas accounts too. Often withdrawals prior to the termination date are charged significant fees to discourage the withdrawals. The money saved can be used for gifts naturally but you can earmark if for other expenses too. Perhaps you travel for the holidays. The money could offset the travel expenses. Perhaps you enjoy adding to your decorations each year. This could help pay for those purchases too. The money is yours to do with as you see fit. You can take advantage of the Black Friday sales or even the after Christmas sales to stock up on wrapping paper and Christmas cards.